Daredevil Joel Johnson is taking on a challenge for Woodlands Hospice in the form of a Skydive… in Dubai! 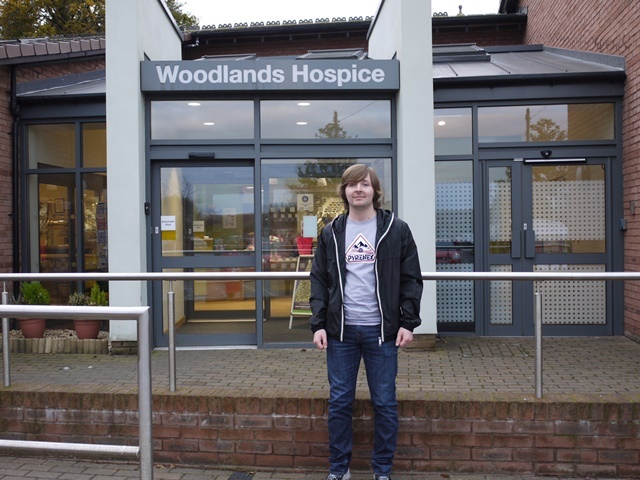 Joel Johnson wanted to do a Skydive to help raise money for Woodlands Hospice in memory of his dad, John, after being inspired by a YouTube video of Will Smith doing a skydive when he quoted “a Skydive is the most intense human experience”. Not satisfied with doing a Skydive in the UK Joel will take on his Skydive challenge at the Palm in Dubai on Friday 17th November along with a cousin and four friends. 21 year-old Joel is a Treasury Officer at Rathbones Investment Management in the Port of Liverpool. He has worked at the Banking Company for the last two years, following completing 6th form at Cardinal Heenan, and is a young man who truly wants to make a difference. He is an Ambassador and member of the Liverpool City Regional Ambassador Network and a member of Rathbones Social Committee.­ Joel, who started at Rathbones as an Apprentice helped to promote UK Apprenticeship Schemes at The House of Commons recently during an event which took place their titled ''Apprentices take over the House of Commons''. Rt Hon Robert Halfon (Minister of State for Education) was a guest speaker along with other MPs - Nus Ghani and Joe Billington. The event celebrated the success of such schemes and gave them the opportunity to speak of their future ambitions for apprenticeships whilst inviting past apprentices to take the stage and talk about their experiences. Originally from Anfield and now living in West Derby he is keen to help those less fortunate than himself and links this to the support he and his family received during the sad loss of his dad John. If you would like to support Joel and sponsor his Skydive click here to go to his Just Giving page and donate.